As I sit here grinding it out at the job again, I can’t help but reflect back on my 20’s when I was a struggling touring musician. Those were good times (or were they). That’s the catch 22 of life and whatever professional route we take ourselves in the pursuit of making a living, are we totally content? I am not blessed with contentment undoubtedly. I need to make that mind shift. 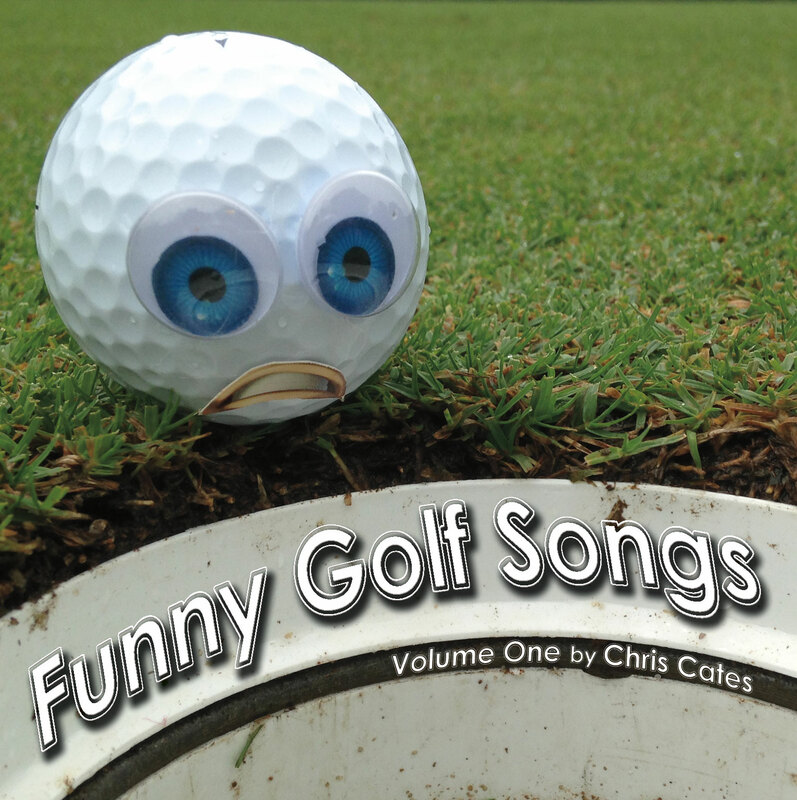 Or do I just need to solely be a recording artist with a golf bug which is my ultimate goal. Would I be content then? Click to listen to entire album. I’m in the middle of a very productive year musically, releasing lots of independent albums, but that doesn’t mean I don’t put in 40-60 hours a week with my “real job” developing solar farms. I live in Atlanta where you gotta make some dough to feed the oven, so a “real” job is quite a necessity. Although I’m working hard with my record company and PR to turn that table, this old song of mine seems even more ironic to me today (now that I have a “real” job and am not a full time musician anymore). Thanks for listening and supporting independent music! Home for the weekend to see my wife. Working 1200 miles away from home really makes you appreciate your relationships. That made me think of this song today. ‘Crazy or Crazy in Love’ was written and recorded during my song a day year in 2010 and has been a great live song for us ever since. Thanks for listening! Ricky Rubio is still giving this blog an unbelievable amount of hits. That’s awesome. What is also awesome is that it’s not going to be raining all day today. Although I don’t mind working in the rain. I actually like it. There is only so long that being soaked is tolerable. Today’s song is a jazzy acoustic number. It’s kind of about seeing your life as it happens (instead of in hindsight). Thanks for listening! I did recycling in fast forward today so I could go to the doctor, something I hardly ever do. I’ve had an ailment for about three months so I figured it was about time to find out what the deal is. Result, inconclusive of course. I did get some medicine to take a stab at it but knowing me, I’ll just let nature take it’s natural course to heal it. Life would be hard if it wasn’t so strange. Thanks for listening! I’m a day late posting this song because we got up early yesterday morning to film an interview and perform on “Your Carolina with Jack and Kimberly” on WSPA CBS – Greenville. We had a blast, jammed out and Jack and Kimberly were awesome as usual. They are great talk show hosts that rival anybody on TV. We played “Crazy or Crazy in Love”, on of my 365 songs. Then, the full Chris Cates and the Master Plan band met up and performed at Greenville’s Main Street Friday night. We had a really good show and probably played to close to eight hundred people throughout the night. Anyway, today’s song is about my new dedication to make music my sole source of making a living again. I get caught up and life and forget that this is my true purpose which is very easy to do. Thanks for listening! Ah, the ways the days are always flowing. We learn a little more every day (or get schooled). I learn a little more each day that I’d rather be playing golf than working all day long. One of these days I’ll turn that around. Maybe that’s what today’s song is about, I don’t know. Another scortcher working outside on the recycling truck today but we made it through and that part of the work week is over. Now it’s gigging time, three shows this weekend in three different places (2 states). Today’s song is just what popped out when I sat down to write today. I just started the song and it flowed right out. I’ve been trying to write with the mandolin more. Thanks for listening! What a week. I’m finally back home after an entire week out of town. Needless to say today is catch up day on the song a day project. I’ve actually had them written and some partially recorded, so I should be posting three more songs today. This week is worth noting I guess (since this blog thing is supposed to be somewhat personal). I started out with three heavy days recycling in Morganton (55 miles away), then after work Wednesday, my band performed at a grand opening for Audubon Place apartment complex in Arden, Thursday night we performed on the Morganton square for the Young Professionals then went across town and guest hosted at Momma Sarah’s a new venue, Friday I played in a golf tournament with my brother (shot 65 2-man captions choice) then played a show at Yianni’s, Saturday we teed off early at Quaker Meadows (shot 66 2-man best ball) and lost by a stroke, I then went to Mimosa Hills Golf course and performed for their Member Guest, finished and ran out of there to step on stage 15 minutes later at Momma Sarah’s for a 4 hour Chris Cates & the Master Plan show. It was a lot of fun actually and besides a few yelled profanities at Quaker, I had a pretty good week. “Some of that Something Something” is another funky one. I seem to be trending that way lately. Monday again and back on the recycling boat. Of course I made the mistake of spending my whole weekend building my massive fence, so I’m starting the week sore; which is not a good thing. Oh well, at least today I managed to work, drive 130 miles, go to the library, return my mower and get a new one, practice for my golf tournament this weekend in Georgia, mow the grass (with my new cordless mower), write this song and the song for tomorrow (because I’ll be out of town) and hang out with my lovely wife and our pets (and watch the Lakers). For some reason money is the subject for the second day in a row. Honestly, it’s not something that’s on my mind right now for the first time in my life. This must be how I’m exorcising those demons.